"[...]Osama bin Laden was a Muslim terrorist. Yes, he twisted the Quran and the Islamic tradition in directions most Muslims would not countenance. But he rooted his hate and his terrorism in that text and that tradition. So Muslims, as I have long argued, have a responsibility to speak out forcefully against Bin Laden and to look hard at the resources in their tradition that work to promote such evil. 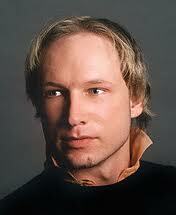 If he did what he has alleged to have done, Anders Breivik is a Christian terrorist. Yes, he twisted the Christian tradition in directions most Christians would not countenance. But he rooted his hate and his terrorism in Christian thought and Christian history, particularly the history of the medieval Crusades against Muslims, and current efforts to renew that clash. 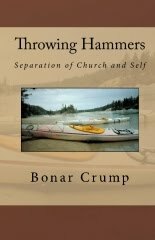 So Christians have a responsibility to speak out forcefully against him, and to look hard at the resources in the Christian tradition that can be used to such murderous ends."